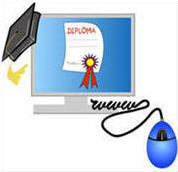 Our Medisoft training program is easy and comprehensive! Totally flexible. Learn at your own pace. Take advantage of our introductory offer and order your live coaching hours now! 1. Visit the online Medisoft training videos page and sign up. You will receive an email with user name, password, and website to view the videos. 2. If you don't already have Medisoft, download the software demo according to the instructions you receive in your email. 4. Continue with each section and schedule your live coaching sessions as needed. 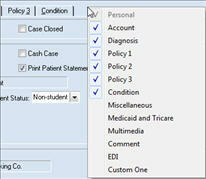 If you are not working with live data, you can practice using the sample data in the Medisoft demo software. The following schedule indicates suggested points to obtain live coaching. Simply buy 1 or 2 hour blocks of time when you need them. We schedule an appointment time, call you, and remotely access your computer. It's that simple. Schedule a coaching session Set up practice, providers, carriers, CPT and diagnosis codes, and other support files. Important session! Catch any mistakes right at the beginning. Schedule a coaching session Set up patients, cases, quick entry template, and Office Hours Patient Scheduler. Schedule a coaching session Claim management, printing claims, format insurance claim form as needed. Schedule a coaching session Review reports, report filters, Day Sheets, monthly reconciliation. As previously mentioned, the live training schedule is flexible. Everyone learns at different rates and some specialties require more setup and training. Sign up for as many or as few coaching sessions as you need. Most people learn best through repetition and online training videos are a good way to do that. One or two hour sessions with a live trainer are short enough to allow you to absorb more information so you don't get burned out. We log on to your computer and give you step by step instructions just as if we were on site at your office. (high speed internet access required). Your online instruction is customized based on the needs of your practice. Spend time on only the topics that matter to you. Sign up for live coaching here: We look forward to working with you! Q: I open Medisoft and the toolbar is missing. How do I get it back? A: Move your mouse just below the title bar to the right of the Help menu and right click. Next, left click on Toolbar and it will reappear. Q: The Policy 1 tab on the case window is missing. How do I get it back? A: Open any case, move your mouse to the right of the existing tabs and right click, then left click on the tabs you wish to activate. Q: I open Medisoft and the data can't be found. How do I get it back? A: Hold down the F7 key and doubleclick on the Medisoft icon on the desktop. (Function keys are located at the top of the keyboard). This opens the Find Medisoft Database window. Click the Browse button and search for the medidata folder then click OK. Click OK again to open your practice. Q: I want the most recent case I created to automatically come up in Transaction Entry. Is there a default I can select? A: Click the File menu, Program Options, then Data Entry tab. In the Case Default dropdown, choose Newest Case.